The Rigid 4.5 Gal Compressor is the smallest and most affordable compressor option matched for BYSS train systems. 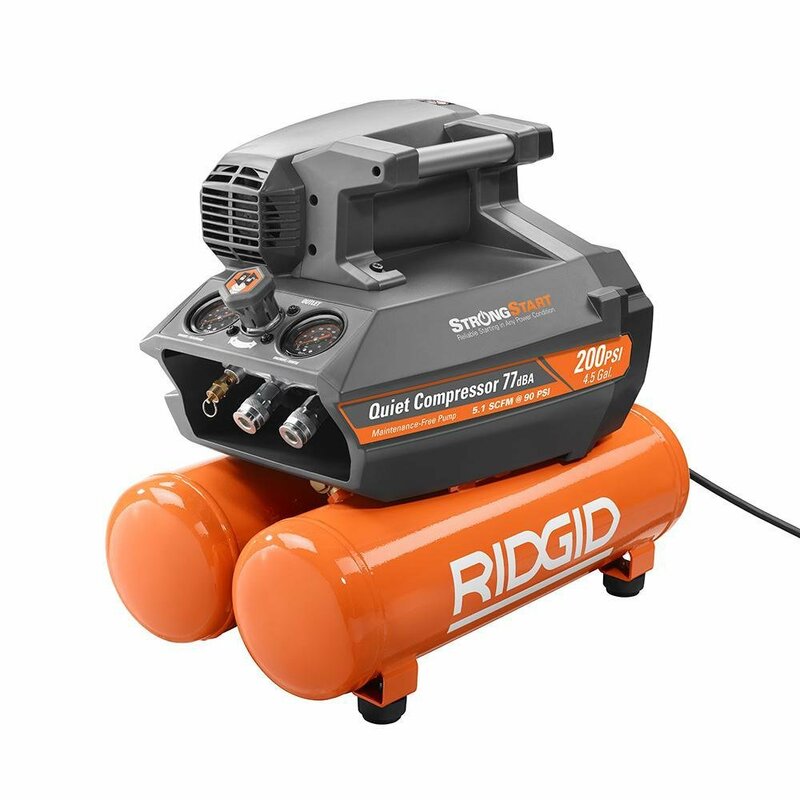 This compressor is not built for heavy industrial usage and is offered as an option for light-moderate usage. This compressor is one of the most quiet compressors you can find at only 77 Dda. However, If you plan on running your system continuously we highly recommend using the Cambell Hausfeld 20 Gal. Electric Air Compressor.